The Police Dept. 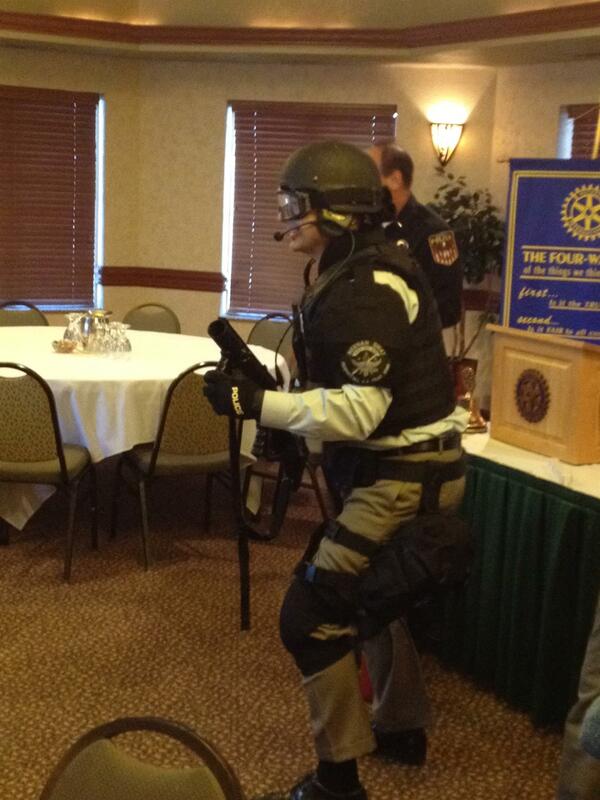 came a few weeks ago and presented some new information about the local SWAT Team. George Brownell was asked to suit up.